Brisbane lights up for Wishbone Day! 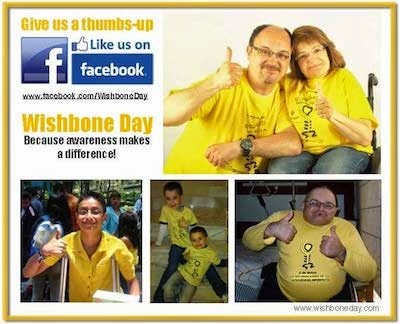 The Victoria Bridge and Story Bridge at South Bank Brisbane will light up yellow for Wishbone Day on May 6th. You're invited for a picnic at South bank from 4pm. Wear yellow and bring your own picnic for the light up at about 5.15pm.